UPDATE: It has been reported that the man who stole Mike Meyer’s Superman collection has been brought to justice and his collection has been returned! We will no longer be accepting donations. You can read more about the arrest at Comics Alliance. We’re happy to see that Mike was able to get his collection back. Our hearts go out to Mike Meyer, whose entire Superman collection was stolen by a former co-worker. As Greg Hatcher mentions on CBR, Mike has been on a special-needs disability pension for the last twenty years, and supplements that meager income by working part-time at a fast-food place. The one thing that he really cherished was his Superman collection. We urge everyone to read the wonderful post on CBR, including the HUGE outpouring of sympathy by other fans who feel Mike’s pain. You can read the full story from stltoday.com here. 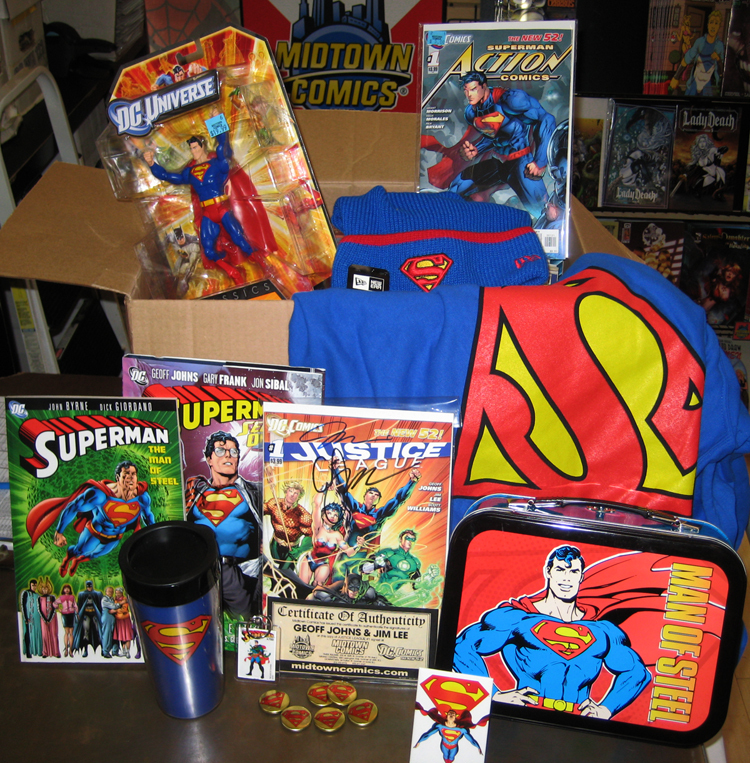 At Midtown Comics, we are inspired by the “replace-the-collection” effort that Greg mentions (suggested by his friend Rick over at His Name Is Studd ), and we will immediately donate $150.00 worth of Superman comics and merchandise, including a copy of Justice League #1 signed by Jim Lee and Geoff Johns.